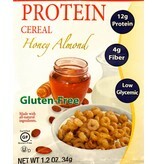 Honey almond protein cereal, gluten free, no trans fat. 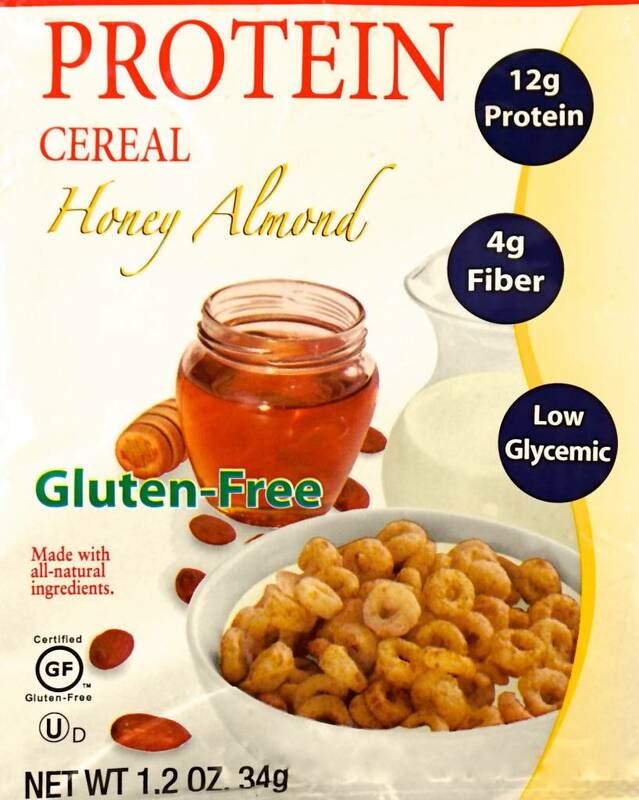 NUTRITIONAL PROTEIN SUPPLEMENT FACTS: Serving Size: 1 Packet (28g) Servings Per Container 1 (Per Serving / % Daily Value) Calories: 100, Protein: 9g (15%), Total Fat: 1.5g (2%), Saturated Fat: 0g (0%), Trans Fat: 0g, Cholesterol: 0mg (0%), Sodium: 140mg (6%), Potassium: 0mg (0%), Total Carbohydrates: 15g (5%), Dietary Fiber: 3g (12%), Sugars: 3g. VITAMINS & MINERALS: Vitamin A (0%), Vitamin C (0%), Calcium (4%), Iron (8%). 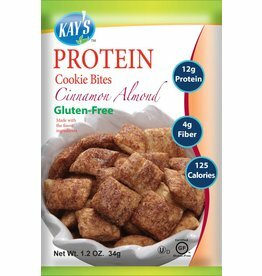 INGREDIENTS: Soy protein isolate, yellow corn flour, rice flour, natural honey, tapioca starch, inulin, pea fiber, evaporated cane juice, partially defated almond meal, canola oil, cinnamon powder, vanilla extract, natural flavoring, baking powder, double-acting leavening agents, salt. Products containing soybeans, dairy, tree nuts, and wheat are manufactured on the same production line as this product. 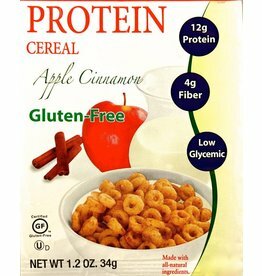 Gluten free apple cinnamon protein cereal. 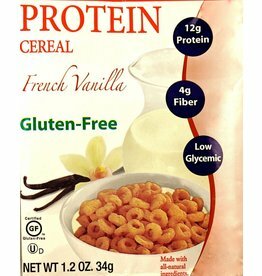 A great gluten free protein cereal. Makes a good snack as well. 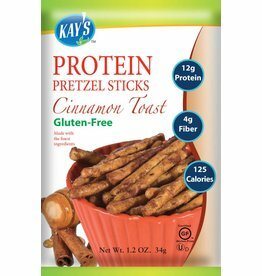 Gluten free protein snack. Makes a great cereal.